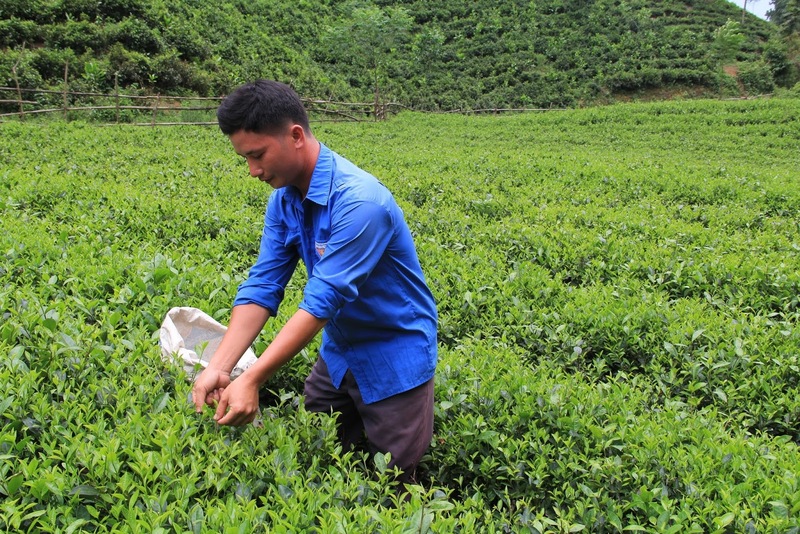 In this interview, Chloé Desjonquères, 24, a development studies student from France speaks with Luong Van Chuyen, a tea cultivator from Viet nam. 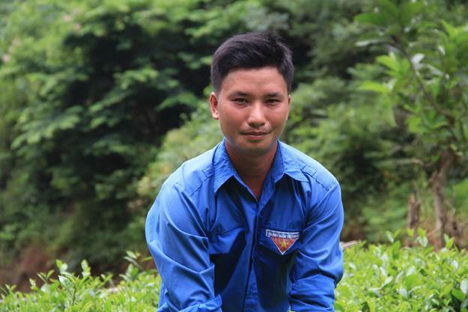 Chuyen, 30, is a young tea cultivator. He is married with two children and lives with his parents in a remote village in Tuyên Quang Province that is only accessible via motorbike. Q: What is your name, age, and where do you come from? Q: Some young people may have a negative view of farming, rural areas, and agriculture. What are your thoughts? “I studied with other people from Viet nam who work in tea production when I got to visit Thai Nguyen, and I have met people who are successful in their lives thanks to tea production and tea processing. So that is a big lesson for me because it gives me the hope that I can also have a better income thanks to tea cultivation. A: The support from the government, and also my friends and relatives who support me and my tea production are all inspiration to me. Q:Is there a particular person who is a role model for you? A: I think of the successful tea farmers I have met in Thai Nguyen, especially the well-educated younger farmers. They give me hope that I can also deal well with my plantation so I can have a higher-value tea and get a better price for my production. A: If you would like to start cultivating tea, you should focus on your production and learn from others so you can know how to best develop your tea plantation. Q: What do you need to help improve your yields? A: I would like to produce tea that meets the safe food standards, so we can have a higher and more stable price. If someone could create more favorable conditions for our production, with a better road and support with food safety, we could easily sell our production. A: My dream is that the agro-forestry production in remote areas improves the income of farmers, so that we can invest more into it more and so that we can be as equal and as developed as richer areas of Vietnam.